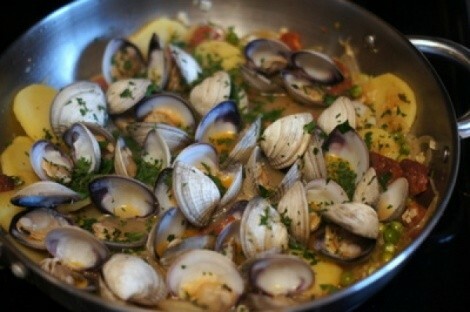 Here is a one-pot seafood dish that is very easy to make, but also quite hearty and satisfying. 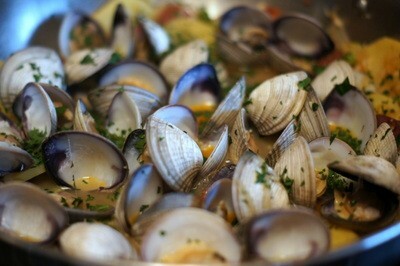 --- It's a somewhat unusual combination of clams, chorizo and potatoes. 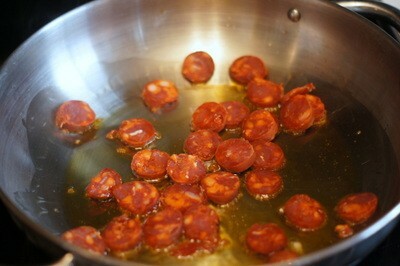 Over medium heat in a large skillet or Dutch oven, cook the chorizo in the olive oil until lightly browned, about 3-4 minutes. Add the sliced onion and potato and saute until the onion wilts a bit and the potato is lightly browned, about another 3-4 minutes. 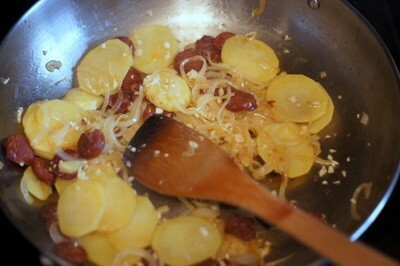 Stir in the minced garlic and saute until softened, about 1-2 minutes. 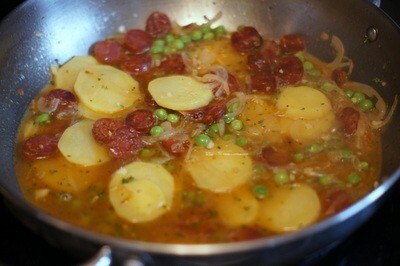 Pour the wine into the pan, along with the peas and thyme. 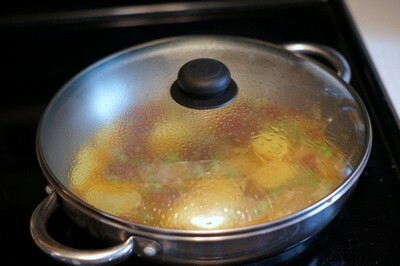 Stir well, bring to a simmer, and cover the pan. 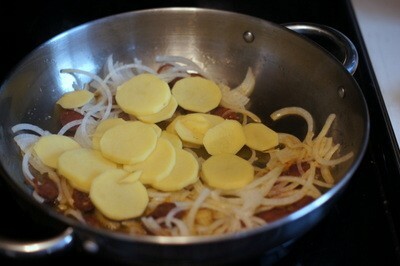 Cook for 12-15 minutes or so, until the potato slices have softened but aren't mushy. 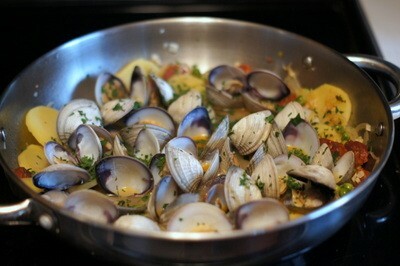 Add the clams to the pan. 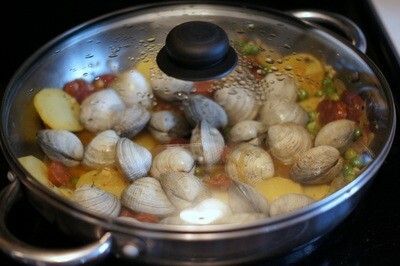 Cover and cook until all of the clams open, about 7-10 minutes. 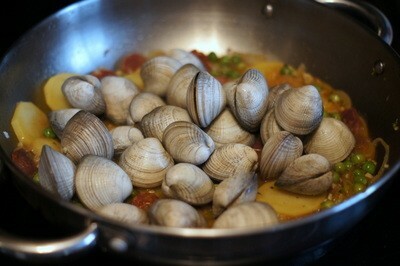 Discard any clams that don't open. 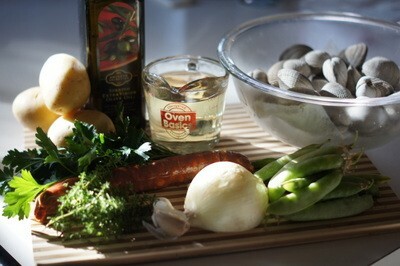 Garnish with the minced parsley. 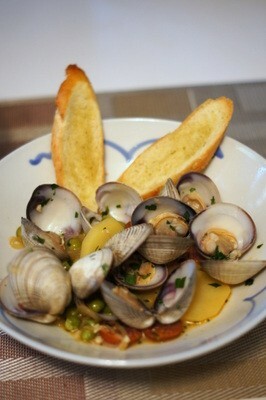 I like to serve the clams in a bowl with some of the broth and crusty, toasted bread alongside.